A Vintage Peacock Favor Gift Tag Freebie! Just for fun today, I created this Vintage Peacock punchable gift tag. He’s a free download. All you have to do to claim him is go to my facebook page: http://www.facebook.com/audrey.jeannes.expressions (or click on the image and it will take you there). You may have to scroll through posts to find him or you can go to my albums and look for “Freebie” as the title. While you’re there would you please consider “liking” my page? We’re working toward reaching 500 “likes” and then there will be a link to a $4.95 digital clip art Easter kit for FREE! If you have a friend that would enjoy the freebie too, would you consider letting them know about it for me as well. It’s all about connecting! To use these as Favor tags for a wedding reception or bridal shower, you can either hand write on them after printing, or typeset your names on them before printing. This requires some graphic program or Microsoft Word knowledge. Make sure you use as heavy a card stock as your printer can manage, it makes a difference in the finished product. To create the tags, simply either cut them out on a paper trimmer, or use a square or round punch. I left lots of background to give you more options. Punch a hole in the top and use a lovely ribbon to affix them to your favors and you have a beautifully elegant touch for your wedding reception tables, bridal shower decor or other party event. There are invitations, RSVPs and other stationery goods in a wide variety of background colors, that have been designed to match this collection. 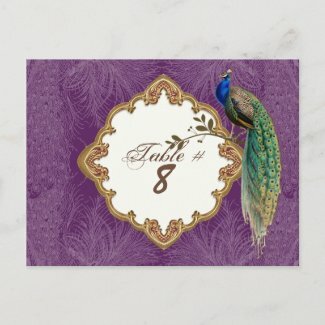 I’ve linked just a couple here in this post, but you can find a wide selection of peacock designs – from vintage to contemporary and in many different colorways in my store. BRAND NEW DIGITAL CLIP ART KIT $4.95 AT ETSY. Just click on the picture to go to the store. There are more sizes and shapes in this collection. A CONTEST EVERYONE CAN WIN: I want to build my Facebook page up from 204 likes to 500 as my first goal. Will you help me do it? If you do, you can win the kit I’m showing in this post. The minute we reach that goal I will post a link to the kit on my page as a thank you to everyone that helped as well as to be enjoyed by everyone who joined! So if you have friends that enjoy digital art, please invite them so I can give away at least 500 kits! The conference was actually 2 classes, Social Marketing was the morning topic and Email Marketing the second. Does the word “marketing” scare you? It isn’t my favorite word either, but I realized that if you take the word “marketing” out – it’s really about connecting, I hate to “market” but I LOVE to connect. What’s not to love about connecting with people who share your likes and passions. Connecting with people that enjoy what you do and vice-versa. When I started to think of it in those terms it immediately became much less scary to me. After listening to Kelly Flint – Constant Contact’s LA Regional Development Director give the presentation, I did a lot of thinking about what I have and haven’t done in the past. She is delightfully hilarious by the way, if you get a chance to go to any seminar she’s teaching do it. You can find her Facebook page by clicking on her name, it’s a live link. Kelly is a wealth of ideas and information and I’ll share bits and pieces of her tips via my twitter feed in the next few weeks. If you haven’t connected with me there it’s TWITTER @audreyjeanne. I enjoy Facebook because it’s so interactive – much more so than a blog. I would love to dialog with you. I would LOVE to hear about your passions. What arts and crafts are you into? What do you want to learn more about? What are you making and selling or just making to give away? Do you have friends that love to create with digital art? Are they professional crafters that love to find new things to make, new art that they can use for selling at craft shows? Do you have friends that scour the net for the next hot craft and would love to share what they find? I’d love for you to invite them to come connect with us. I’d love to see what people are doing in their creative spaces and try to encourage you to bring more creativity and beauty into your life. AND I’d love to have you come and post those kinds of things on my Facebook page so we can all go check them out. Home From the CHA Show & Very Inspired! NOTE: JUST CLICK ON ANY IMAGE TO GO TO SEE IT LARGER IN MY ZAZZLE STORE. CHA, the Craft & Hobby Association Show was held in Los Angeles this year at the end of January. It is always one of my favorite shows to attend. It is filled with such incredible creativiy – both in the art being used to create the craft, scrapbooking and other kits that are offered and in the creativity of the designers who are creating projects from that artwork. Designers use existing products to create new and fun crafts with. Their interpretation of the artwork is incredibly fun and diverse. There were “make and takes” every where you turned. Displays of projects and extravagant backdrops or centerpieces such as paper dressed mannequins were all around. Unfortunately my camera malfunctioned and I don’t have my pictures to share with you. I will ask my daughter if I can take a peek at her pictures and see if I can add later. I didn’t get to do as much wandering around as I usually do. My time was mostly filled with meetings – some of which were very productive meetings (so I’m not whining, LOL!) The other place the bulk of my time was spent was getting to spend time with some very special artist friends – you know who you are! My artist friends inspire me so much. I love seeing what they’re doing, discussing the industry and our goals going forward. I’m friends with some VERY motivating people! If you’re snowed in, how about beating the boredom by crafting something with all of those supplies you have stashed away? How about pulling out your scrapbook papers and creating 5 or 5 greeting cards to have ready to use when the need arises? I love to make a mess just once and end up with lots of goodies to use later throughout the year. Try making some matching gift tags to add to your birthday or Christmas gifts during the next year. It’s a wonderful way to pass a cold and miserable day with the warm sense of joy creating brings. 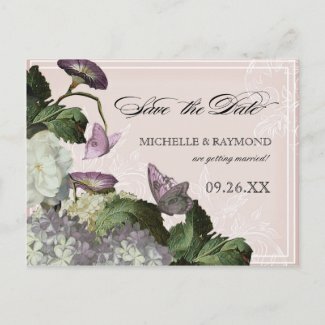 I thought I would also share some of my newest invitations in my two Zazzle stores. If you know a young bride that is getting married this year, or a new mother welcoming a baby, I would love if you would pass my website along to her!